Once you have arranged to have a humanist ceremony, your officiant will wish to speak with you and possibly others closely affected by the death. 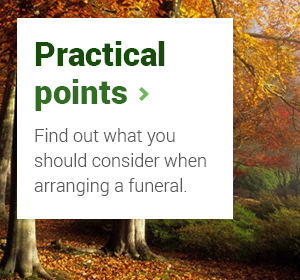 It is helpful for the officiant to get to know as much as possible about the person who has died; for each ceremony is different and highly individual, even if the form of it may seem quite simple. Members of the family or friends can, if they wish, participate with a reading or a poem, or with their own tribute. It helps make the occasion more personal and special.